Simply put, it means involving everyone regardless of their abilities, working to get past the fear of the unknown by embracing and celebrating difference and choosing to have conversations, even if they are uncomfortable. Inclusion is not only being invited to the party but also being asked to participate!! 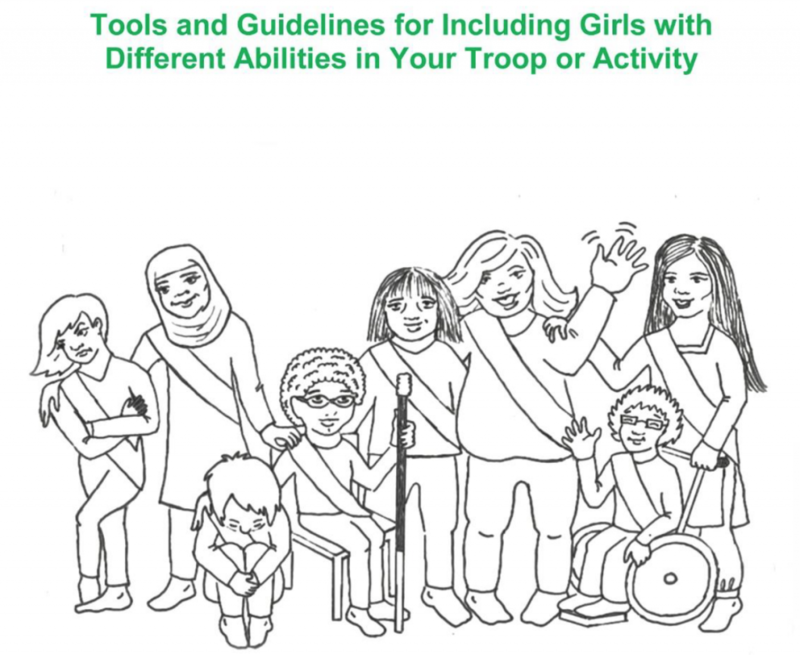 Download, print and share The Girl Scouts of Western Washington Inclusion Handbook for more information and guidelines on creating an inclusive environment. Although it’s written for Girl Scout Troops, its message is for everyone.